Ok, here's the picture that everyone's been looking forward to - the Glaser's and the Anderson's. 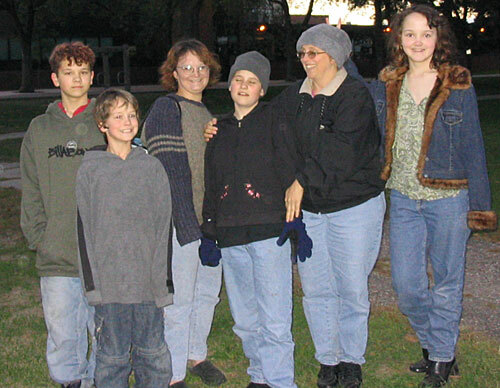 The cast (from left) Leo A, William A, Shannon A, Pamela G, Tammy G and Niki A. This was the reason for our trip to the cities. Free tickets to the Renaissance Festival! 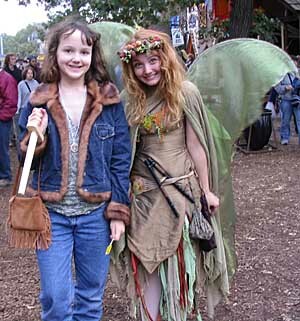 This is Niki with a Woodland Fairy who was playing her pipe near the gate. It was easy to tell that Niki wanted that part for herself.